Daniel Klein is a Professor of Economics at George Mason University, where he leads the program in Smithian Political Economy. 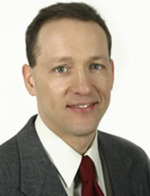 Klein is the author of Knowledge and Coordination: A Liberal Interpretation, coauthor of Curb Rights: A Foundation for Free Enterprise in Urban Transit, editor of Reputation: Studies in the Voluntary Elicitation of Good Conduct, editor of What Do Economists Contribute?, and coeditor of The Half-Life of Policy Rationales: How New Technology Affects Old Policy Issues. He is the founder and chief editor of Econ Journal Watch. Panel Discussion: "Economists on the Welfare State and the Regulatory State: Why Don't Any Argue in Favor of One and Against the Other?"